Many talented, accomplished people never got around to learning how to cook, so they think that cooking is hard or too much work. When you’re busy, eating prepared foods or take-out seems easier than cooking (and when you’re hungry, junk foods look far more appealing than healthy foods)! But eventually all those shortcuts catch up to you as a shrinking wallet and an expanding waistline. On the other hand, learning just a few kitchen basics can make cooking easy and enjoyable! Cooking is a skill you can master one step at a time. With even the most basic cooking skills, you can make quick and easy meals that taste great. For example, browning ground beef is easy once you learn how, and so is chopping an onion. 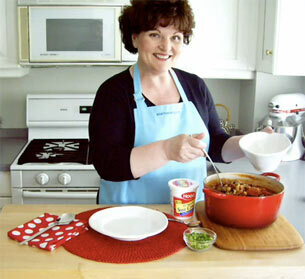 From there you can make a pot of chili in just a few more steps. Don’t give up if your first attempt doesn’t quite turn out. Think of it as an adventure. Don’t sabotage yourself. Think small. Perfect one skill (browning beef), then move on to the next challenge (chopping onions). You’ll be cooking meals in no time at all. Once you know your way around the kitchen, food is a great way to make people feel welcome in your home. Even a small effort in the kitchen goes a long way. Your guests will be amazed and impressed when you make something just for them. Whether you’re feeding your family, entertaining friends, or even just cooking for your self, home-made food makes people feel special. Everyone deserves a good home-cooked meal. 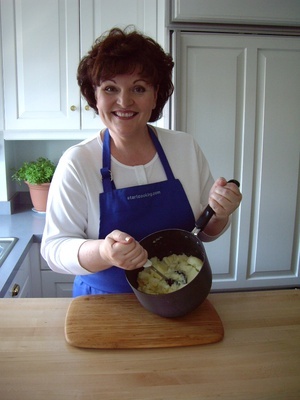 Here’s my Top Ten list of tips to increase your success when you start cooking! Think small — master one skill at a time. Think ahead — it’s hard to prepare a meal with no food in the house. Add a touch of romance — anything looks better by candlelight. Learn to cook one thing really well. 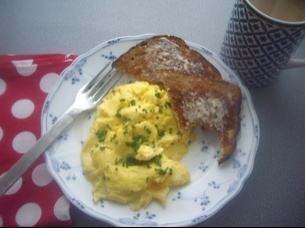 Everyone needs a signature dish, even if it is just scrambled eggs. Learn all the proper techniques and terminology, and then break all the rules! Congratulations on the new site, Kathy. I’ve already subscribed to your videos in iTunes! This website looks really good! I’m a college student and I really like your videos. I haven’t tried following your tips/recipes yet because I’ve just discovered this site. But I’ve subscribed to your podcast, I’m sure they will help me a lot! Thanks for making such a nice site! Thanks Joe! Be sure to let us know if you have any questions. Good luck with learing to cook! I really like your “Top Ten Start Cooking Tips.” I’m trying to find my own “signature dish” now. I love potatoes so I will probably find something I can cook with potatoes. By the way, the picture with 2 slices of bread with cheese in them (on this page) looks REALLY GOOD! and it looks very cost-efficient too. Looks like a kinda meal I’d like to have for breakfast every morning. Thanks for the great site, Kathy! Hi Jun, Roasted Potatoes would make a really great signature dish! 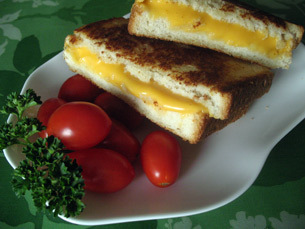 Grilled Cheese sandwich is perfect for any meal of the day! Cheers! 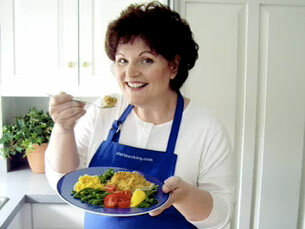 Thanks showing me tips Kathy, i may be just a kid but i want to be a true cook like you Kathy. Thanks Vin! I started cooking, under the watchful eye of my mom, at age 11. I came across your website today for the first time, and I love it. I am an experienced cook, but your site contains SO MUCH wonderful information that I can use (love the pressure cooker posts…I’m scared of them, too). My only regret is that I didn’t know about you earlier! I look forward to visiting your website very frequently. Thank you for taking the time to put together such a great site! I am delighted to hear that even an experienced cook has found value in my site. As a 15 year old starter cook, knowing not more than to cook an omelet and scrambled eggs, you have tremendously increased my knowledge of BASIC cooking tips. I thank you for making the site, the tips, and the videos such a pleasing experience. Thanks Paulo, and happy cooking!